My aunt died suddenly in April. In May, my girlfriend told me she needed to be single, which turned out to mean that she was in love with my brand new friend. I found out on July 4th when she drunk dialed me and I helped her get home. She returned my things at our mutual friends' wedding. August I got evicted. September my boss made me cry at work. November I had alienated myself from most of my friends. December I got a reputation for being suicidal. 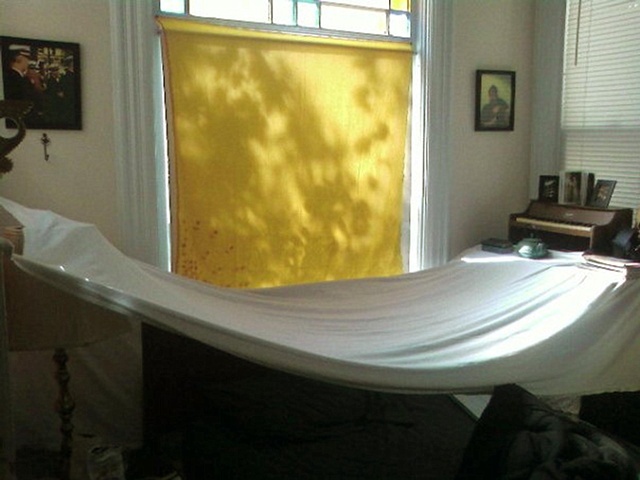 I made this tent over my bed and stayed in there to wait it out.